The Chevy S10 is a pickup truck that is able to accept several different GM engines. The “Iron Duke”, 2.2L and the more noted 4.3L engines are popular choices for S10s. We can get you the best deal on Chevy S10 V6 4.3L crate engines and these are ready to drop right into your truck. We have been in the engine selling business for quite some time and we know all of the tricks of building engines for less but remaining high quality. The crate engines that you will find here on this website are in brand new condition and built by our GM engine mechanics. We keep the true power of the S10 in tact. We are a crate engine seller. This means that all the motors that we have included in our inventory were all built by us. We are not an engine reseller. We don’t buy from catalogs and resell a marked up engine. We choose to deal strictly with GM mostly, but we do have some Ford engines that we rebuild too. We try to keep everyone happy. One thing that you will love about our V6 S10 engines is the fact the the 170 horsepower is not diminished. Often times someone that is not experienced can build an engine and it will ultimately lose its horsepower. We don’t do that here. You get a truly powerful engine ready for pulling or other type of load you put on it. We are constantly building and testing engines in our shop. It’s what we do. It’s our passion. We are not just a seller. We can’t sell anything to anyone that we haven’t put our hands into building and ensure it is right. Our dynamometer does a great job of stroking our ego as engine builders. We do the job right and the dyno test proves our work. Without this testing, we would be just like any other company you can find selling crate engines on the Internet. We put the required investment into our staff and our company to make it great. Each of our S10 engines are tagged and placed in our climate controlled warehouse where they remain until shipment. 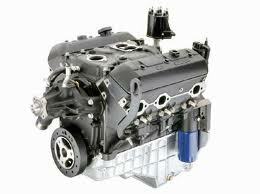 All engines are inside of our database and we always know what we have in stock at any moment. Our large inventory is cataloged well and we always ship out the right engine. We don’t deal with shipping mistakes or other hassles that can be quite common when searching for a replacement truck engine. Our pricing gives us the ability to sell more engines around the world and to make more people happy. We like that. 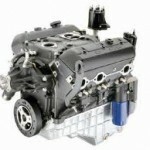 We use a Chevy quote form on this page to handle our automated quotes at www.crateengines.co. Give us the details of your S10 engine needs and we produce a price that will completely surprise you. You can also call us on the phone at 1-877-630-3873 and you’ll get the same service and low price. Don’t waste your time searching for a great deal when you have one waiting for you here.